Home » Get Inked » Just How Much Pee is in That Pool Where You’re Swimming? Taking a dip in the pool might feel like relief on a hot summer day, but have you thought about what’s in the water? Long-time readers might remember that we’ve already covered some of the icky bacteria that can be found in the ocean. 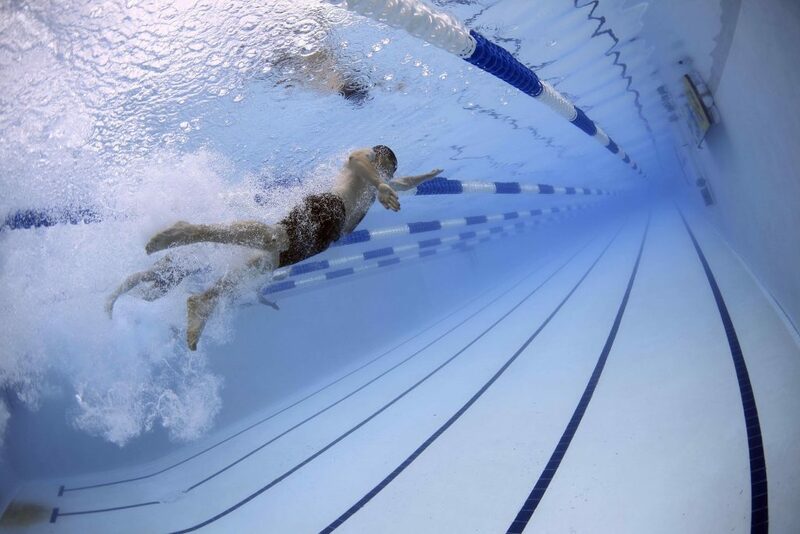 Now, swimmers could be facing unnerving bacteria in enclosed environments as well. A study published on March 1 in Environmental Science and Technology Letters recently dove into some of the contamination that can be found in swimming pools and hot tubs. (Jmaiff Blackstock, Wang, Vemula, Jaeger, & Li, 2017) Specifically, the scientists wanted to find out how much urine is in these bodies of water, as well as how it is contributing to the chemical composition as a whole. The researchers noted in their study that the nitrogenous organics in urine can react with chlorine, forming “volatile and irritating” N-CI-amines. In other words, it may be responsible for the strange odors you smell when you lean in close to get a whiff of the water. To learn more about the contamination of pools and hot tubs, the scientists analyzed 250 samples from 31 pools and tubs in two Canadian cities. Chemist Xing-Fang Li and her colleagues measured the amount of urine in the water by gauging the levels of artificial sweeteners (Sweeteners are carried in urine). In the end, they concluded that one 220,000-gallon, commercial-size swimming pool contains almost 20 gallons of urine on average. In a residential-sized pool (20-by-40-foot, five-feet deep), this would be the equivalent of about two gallons of pee. Although this is only one-hundredth of a percent, coming into contact with urine in a swimming pool in any amount can have dire consequences. When chlorine comes into contact with urine, it can create potentially poisonous compounds called disinfection byproducts. They create unpleasant odors, but they also come in several different forms. For example, some interactions may spawn cyanogen chloride, which is classified as a chemical warfare agent. Nitrosamines can also form, which are thought to cause cancer. Unfortunately for Li and her team, the research may have already taken it one step too far. There’s no going back once you’ve already dipped your foot in that contaminated water.